The concept of knowledge management has expanded. It used to be so easy. Buy a knowledgebase tool, train all your support techs on KCS basics, and start receiving value. But lots of things have changed to complicate this. Don’t get me wrong, the knowledgebase continues to be a critical element for success, but today’s service organizations are now seeing the knowledgebase as step one of a more complex knowledge infrastructure. Communities are now rated as more useful in solving customer problems than the knowledgebase, according to the TSIA Support Services benchmark. Unified search tools are becoming a ‘must-have’ technology to index and search all your corporate content, including online documentation, release notes, customer configuration files, and incident history. Expertise management is growing in popularity, to analyze your corporate content and identify experts on any topic or feature, so you know who to reach out to when you hit a knowledge or content gap. Though every company seems to come at this complex mix of technologies from a different direction, just about everyone I talk to today is interested in leveraging corporate content, and expertise, and definitely looking beyond the traditional knowledgebase. Social media listening as early warning system. According to Cisco’s Doug Pluta, customers frequently talk about product or service issues via social media channels before the issue is reported via traditional assisted support channels. My inquiries on social media have completely changed. The last few years the questions were transactional: what social channels should we support, how to automate incident management, how quickly should we respond to social issues, etc. Today, the incident traffic regarding social media is focused primarily on monitoring social for voice of the customer analysis. What are customers saying, what sort of sentiment is being expressed, are there thoughts or suggestions floating around we haven’t heard from traditional surveys, etc. It is good to see more support organizations getting active in social listening, and not leaving it to marketing to monitor. Marketing cares about the perception of the brand more than individual products and features, and there is a lot of value to be gleaned from actively listening to these social conversations. ERP integration boosts PSA value. A lot of members tend to start their search for a professional services automation (PSA) tool by looking at who integrates with their CRM platform. But based on inquiry conversations, as well as audience discussion in the breakout session I did at Santa Clara on selecting a PSA system, tightly integrating PSA to ERP delivers more value, faster, than plugging into CRM. Since tightening up billing cycles and reducing DSO on PS bills is a hot button for most companies, it makes sense to plug your PSA system into your billing and accounting system. Project details, milestones, signature approvals and travel and expenses are all passed automatically, with enough audit trail detail to satisfy even the toughest customer. One member told me that they have received 100% compliance in submitting expense reports and project updates by COB on Friday by tying a percent of the consultant’s bonus to getting those reports in on time. I plan to put more focus on existing ERP systems when speaking with companies shopping for PSA from here on out. Many other topics are brewing as well. A rising trend in inquiries is asking how to reduce the cost of a CRM deployment, with many companies complaining that their cloud CRM vendor is “nickel and diming them to death,” charging extra for every new feature. 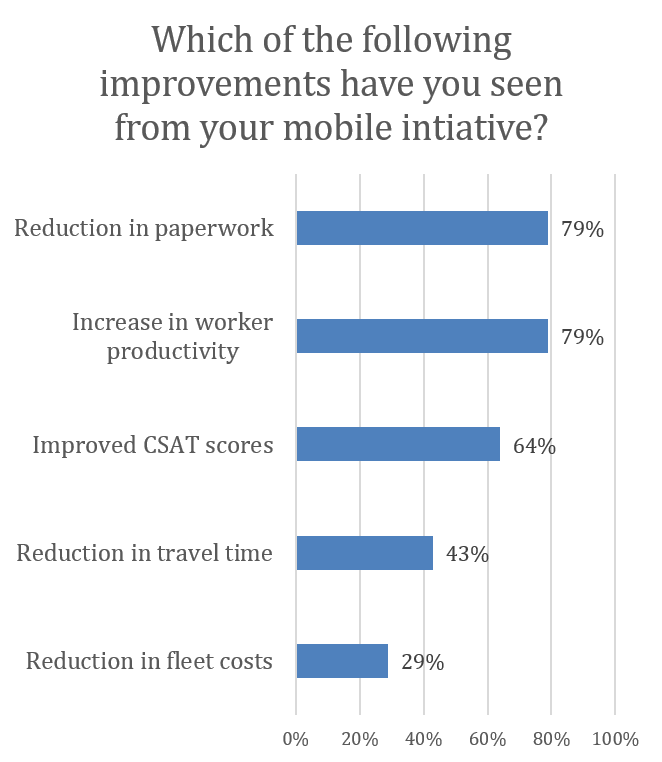 Mobility continues to be a hot topic as well, with more field service organizations investigating devices and mobile capabilities. Collaboration is another big subject in 2014, especially with more at-home workers making it impossible to ask questions across the cubicle wall. 2014 is seeing a lot of companies shopping for new and interesting technology to take them to the next stage of productivity, as well as new levels of insight/visibility into operations. I would be interested in hearing your thoughts on other big trends in service technology. Feel free to add a comment! And as always, thanks for reading. I did not jump on the gamification bandwagon early. I’ve attended a lot of webcasts and conference presentations on the topic, and I kept hearing the same unconvincing stories over and over, with no great examples of how this applies to the world of enterprise applications. Too many vendors have added a “Like” button somewhere in an application and call it gamification. I’ve seen people talk about revolutionary gamification strategies to drive worker productivity, but it was the same old incentives for extra effort we’ve used for decades. I had started to think that gamification was like the infamous emperor–maybe not completely naked, but at the least scantily clad. I knew I was onto something when on the very first page, I found this: “[The authors] caution against taking a ‘chocolate covered broccoli’ approach of simply adding points and badges to business applications and calling them gamified.” This has been my exact complaint, so I knew these guys had figured it out. The previous presentations I’ve seen on gamification give gaming examples and say, “Think how we could use that in corporate America!! !” But they don’t give examples. This book gives examples. Not only does it provide a look at the psychology of gaming, and walks you through the typical push backs on the topic and why they aren’t valid (things like it only works for kids, or women won’t use it), but it also details gamification elements, gives the root of the idea from the gaming world, then shows how it can be leveraged in enterprise apps or corporate processes. My favorite part of the book is Chapter 6, describing various gamification elements, and not just points and badges, but interesting concepts like Scaffolding, Narrative and Emotion. This book is must read for enterprise application designers, and the examples about online communities and worker productivity make interesting reading for service management as well. Please take advantage of the free online version while available, or order now from Amazon! Thanks to Janaki Kumar and Mario Herger for sending me an advance copy, and to Lee Traupel of the Interaction Design Foundation for extending the free online version to my blog readers. And as always, thank you for reading!